Slides from the talk are below, summary to follow. Reflect on the examples of personal alienation in the talk and ask the Holy Spirit to show you areas of your life where you are alienated, powerless and disconnected. Reflect on the “them and us” language that you use in your day to day life. What does this reveal about your deep prejudices towards other people? Invite the Holy Spirit to help you with this. It is a humanity where all people enjoy the same rights, privileges and responsibilities. It is a humanity where people are not alienated from one another, but where everyone treats each other like a sister or brother. 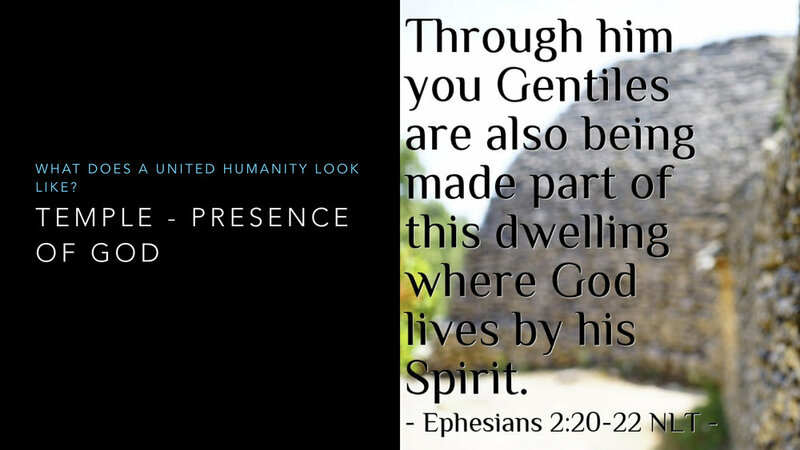 It is a humanity where every person is spiritually alive with the presence and power of God. How does this change your view of the world? How does this affect your attitude towards other people?